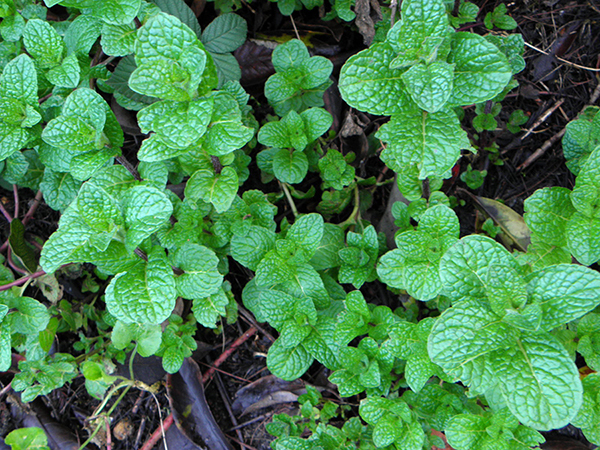 Here in the Santa Cruz Mountains, semi-wild mint pops up with the first winter rains. Planted in some nearby herb garden years ago, it has spread by runners to form a thick mat of leafy stems throughout our back yard. As delicate as the leaves seem, they don’t mind the cold at all. Some sturdy spearmint variety, these leaves are famously stirred into mint juleps and muddled into mojitos. 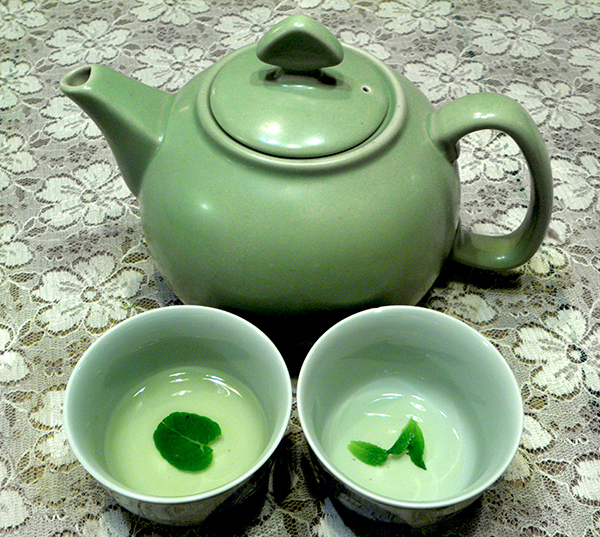 But in winter they make a refreshing and warming tea that soothes body and spirit. The super-easy recipe is uplifting and thirst-quenching, whether you are sick or well, by yourself or with a friend. 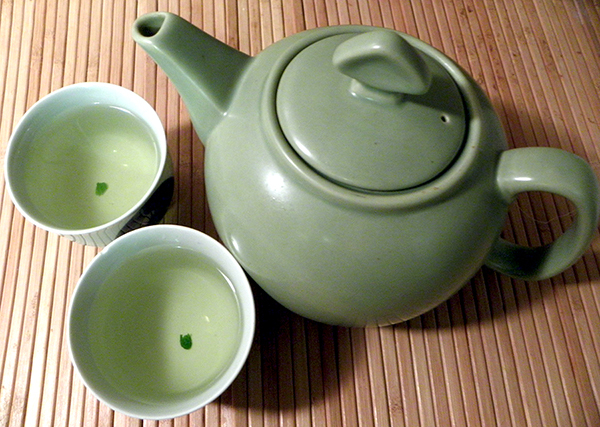 I like making this tea in a pot to share. The leaves needn’t be strained out; this light herb tea doesn’t get overpowering before tea drinkers finish the pot. My husband and I enjoy the tea unsweetened, but you can add a small amount of honey (less than teaspoon per cup) if you like. Honey is an especially good addition if there’s a sore throat in the house. It coats and comforts throats and has antibacterial properties. 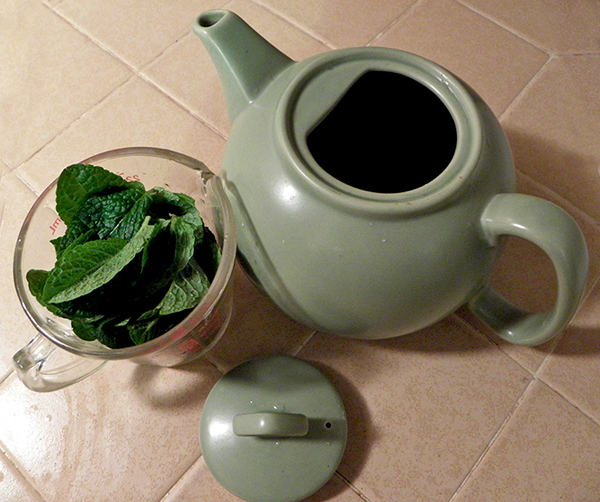 Mint also helps alleviate tension headaches, aids in digestion, and freshens the breath. Take time to enjoy this tea this winter. If you don’t grow your own, this mint is cultivated year round and readily available in the fresh herb section at the market. Bring the 4 cups of water to a boil. 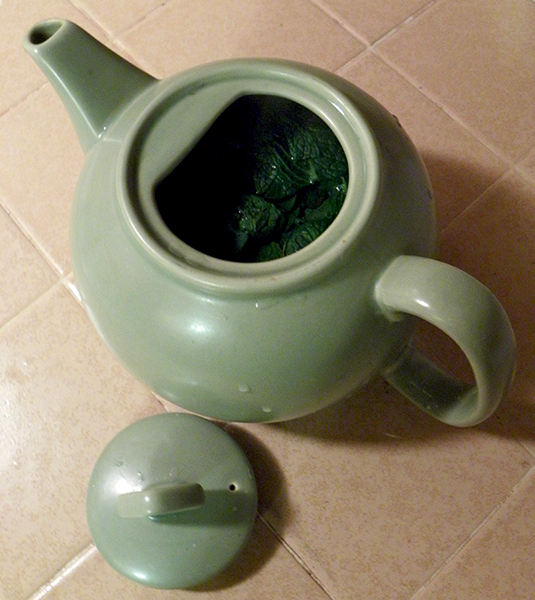 Meanwhile, microwave a 4-cup teapot at 30-second increments, till it feels very warm to the touch. In my microwave, it takes 1 minute total. 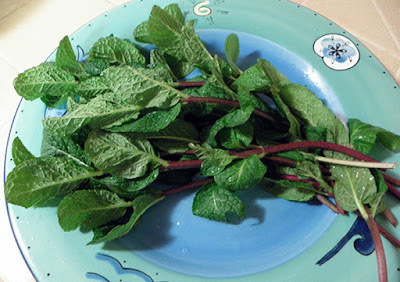 Wash the mint and remove the leaves from the stems. You should have about 1 cup of semi-packed leaves. 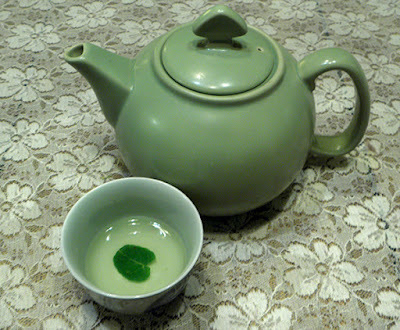 Add leaves to pre-warmed teapot. Add boiling water to the teapot and stir leaves around. Cover and allow to steep for about 5 minutes. Leaves need not be removed from pot. Serve in small cups, accompanied by honey as desired.